You don’t get many pictures on me on this blog but here I am in my element. 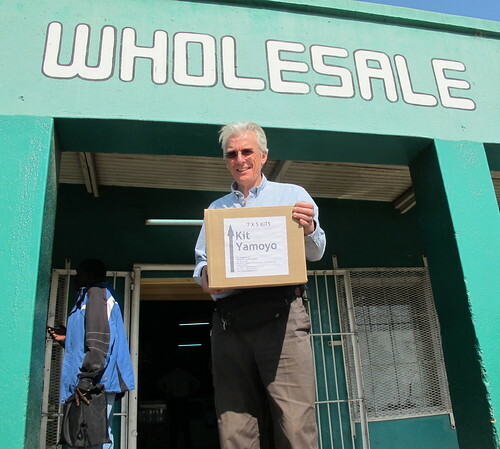 I’m holding the first carton of Kit Yamoyos and delivering it to the Coca-Cola wholesaler in Choma. This was the start of the wholesale part of the test run which happened today (9/8/12). The box contains 7 bags of Kit Yamoyos with 5 kits in each bag. The wholesaler buys by the carton and the retailers buy by the bag and sell single Kit Yamoyos. 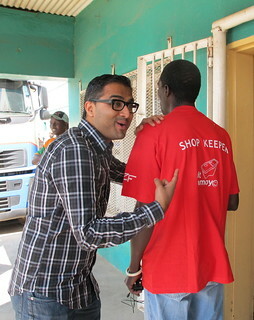 A little while later our first ‘test run’ retailer arrived – Golden Namindi – and he bought 2 bags of Kit Yamoyos – 10 kits in all. Then the second retailer arrived – Joy Munanyanga – and she did the same thing! This involved a couple of few background processes: the retailers needed ID cards (for the duration of the trial, only registered – and trained – retailers will be able to buy at the wholesaler) and the wholesaler needed to complete a stock control card which records cartons received and bags sold. 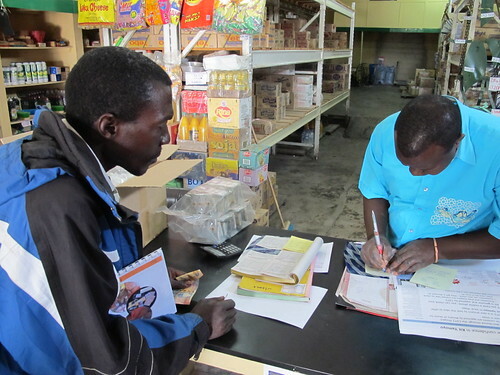 On Monday we go to the retailers’ village – Siachitema – and test the retail part of the distribution chain including: voucher redemption, kit verification and the 50% offer contained in each Kit Yamoyo. 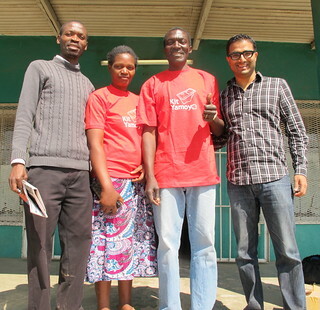 Thank you for keeping us in the picture with your amazing unfolding story. I have to believe that the lessons of this entire process that you are going through MUST be applicable to other areas of “delivery”. Congratulations and well done! I wish you much success.